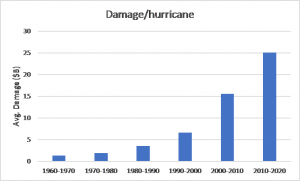 Hurricanes, as we know, wreak havoc on the people and economies affected. In this age of technology, data and insight, preparation and response should be vastly improved, even if hurricanes are stronger and more common than in the past. 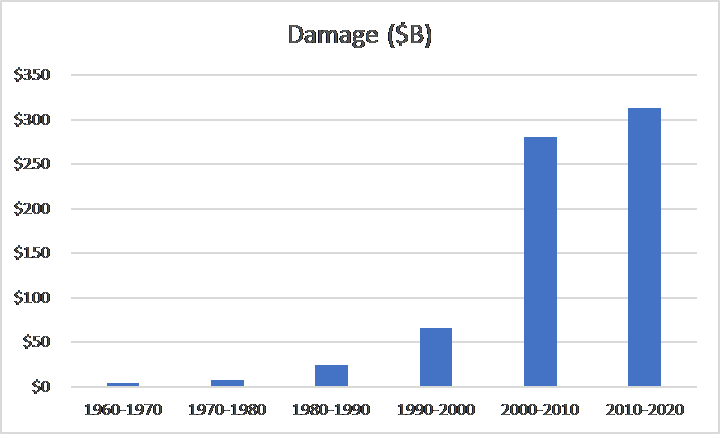 These trends are pretty clear when we look at the 52 costliest hurricanes on record and the staggering damage they’ve done over time. While the government and citizens in vulnerable areas are working hard to combat these storms, there’s more that needs to, and can be done. One place to look is technology and, more specifically, how the internet of things can help prepare and respond to the impact of hurricanes. IoT connects all kinds of physical devices from small environmental sensors to larger machines and data feeds from the cloud, which could help citizens, governments, grocery, wholesale and even home improvement stores prepare. Let’s see how connecting things can help. There’s a lot of planning that goes into preparing potentially vulnerable areas for a hurricane in the short and long term. In the longer term, cities enforce zoning, do flood planning, implement building regulations and more. For example, requiring a certain amount of earth to be exposed (and not paved over) to absorb the excess water brought on by a hurricane. 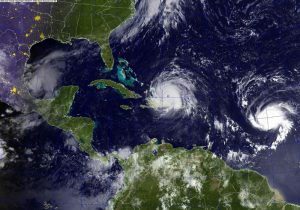 Once a hurricane is on the horizon, common preparations include wind-proofing buildings, buying essentials and even evacuating. 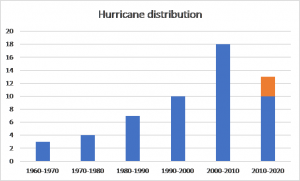 IoT can primarily improve this longer-term planning for hurricanes. Deploying environmental sensors to measure wind, water levels and tides is one great way to get a better understanding of the landscape and how it reacts to rain, wind and more. With granular, real-time data, cities can get much deeper insight into where problems are and correct them when less severe weather gives a glimpse into what could happen. These sensors can also help monitor what’s happening both during and after the hurricane. These IoT technologies can help people, businesses and cities make much faster, stronger and more orderly preparations when a hurricane is approaching. Taking shelter in a prepared location or waiting out a hurricane from a remote location is tough for those involved and their families. Communications and utilities are often knocked out, leaving many stranded or away from home for a long time. 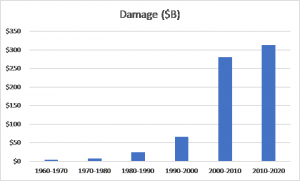 Flooding is a big issue during and in the days after a hurricane as well, which often causes most of the damage. Businesses and municipalities can monitor rugged IoT sensors that often require minimal battery power to operate and send data sporadically to keep tabs on conditions on the ground if communications are up. Though costly, equipping critical sensors with satellite radios to transmit no matter the status of cell towers can make IoT networks fairly resilient. Many devices that already exist, like parking meters and ATMs with cameras, can act as a real-time feed on what’s happening in the storm to avoid dangerous conditions. Cameras can integrate with emergency monitoring systems and provide even more support than usual. Knowing the location of friends and family is crucial during hurricanes. One way to overcome cellular blackouts is to create redundant local mesh networks using Zigbee or longer-range protocols like LoRa that don’t rely on the cloud, but could connect a community with devices that could share location and status periodically. It might also be useful for people to be able to access city environmental sensors for their local area to understand the conditions outside at a hyper-local level (again, as long as power is available). IoT support during a hurricane is a challenge, but there are improvements that can be made. After a hurricane, it’s important to get first responders and aid to the worst-impacted areas as quickly as possible. Connecting people to their families and loved ones must also be done so it’s clear if anyone is missing. Then comes repair and rebuilding. Environmental sensors that show flood levels can identify the worst-hit locations in real time for first responders. Sensors that aren’t directly involved with hurricanes can also give a great idea of which areas are damaged worst. For example, looking at which parking meters across a city are knocked offline should give a fairly accurate idea of impact. From there, first responders can easily understand the areas that are a priority to aid and work in that order, rather than at random. Drones can also be used to scan and search larger areas. Even if data isn’t available initially due to connectivity outages, backed up data from sensors can also help understand how each area was impacted to better prepare for future events. Knowing which areas got flooded worst and experienced the highest winds over the duration of a hurricane can help prepare those areas for future hurricanes. Buildings outfitted with structural sensors can improve safety for those rebuilding fragile structures. They could also save the time of inspectors who need to decide which infrastructure to prioritize. All data collected can also help adjust buildings to be hurricane-proof in the future and inform building codes in the area. Any data available from IoT devices after a hurricane can inform immediate action and longer-term planning and repair efforts. The degree to which data can be centralized leads to a clearer roadmap for improvement. These technologies and many more can be implemented to modernize our approach and response to these inevitable natural disasters. Cities, communities, businesses and individuals should take advantage of improvements in hardware, networking and software to implement cost-effective IoT systems that can help mitigate the impact of a hurricane by understanding situations better with data.